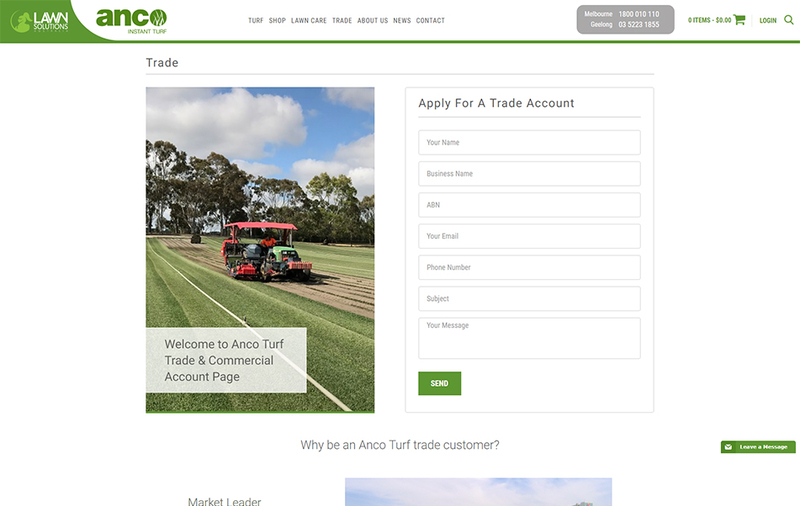 Anco Turf is the market leader in supplying turf to both commercial and private home-owners. 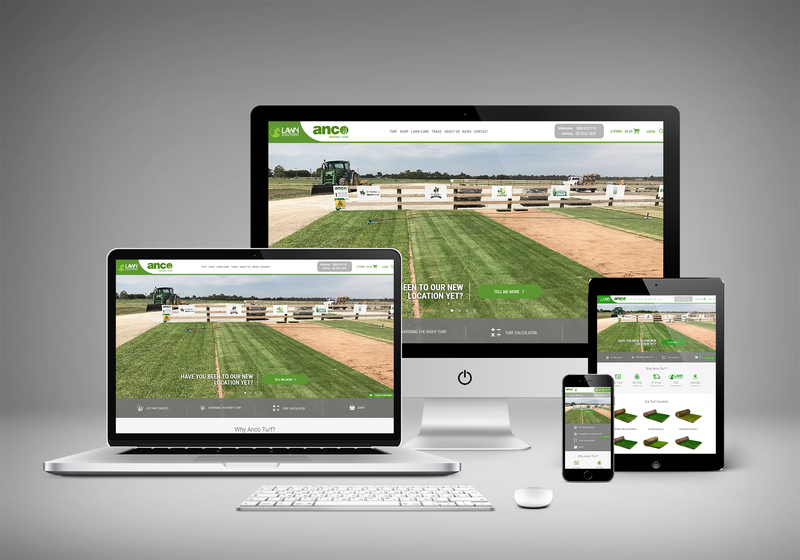 Anco Turf from a digital standpoint was looking to become the industry leader by having a solution that will continue to showcase their position in the industry. Our strategy begin with focusing on the main audience for their website which was the young home owners. 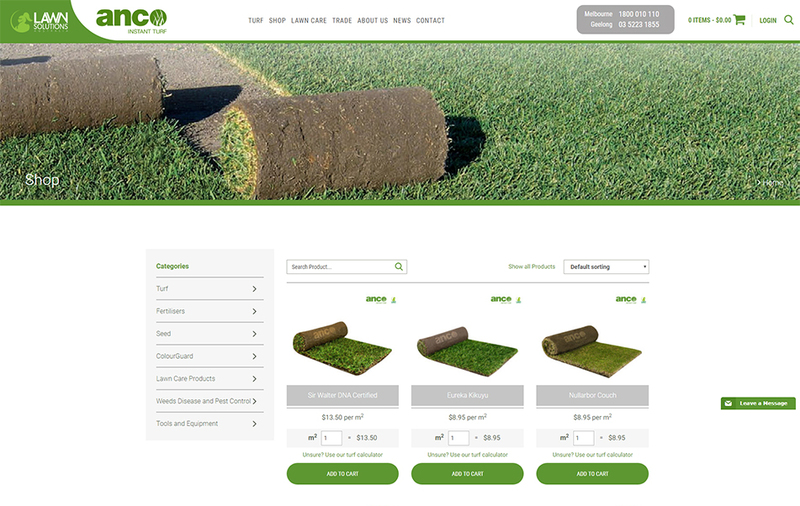 At present the majority of sites made it difficult to calculate the amount of turf to buy as well as not giving you the ability to purchase online. Our goal was to provide an easy to use website that was led by strategy and insights to ensure a smooth and easy process for all users. Our desire was to showcase the high-end quality of products available through their online store in conjunction with customised API integrations and business matrixes for shipping and delivery. The outcome for Anco Turf has been dramatic from a sales and business performance perspective. 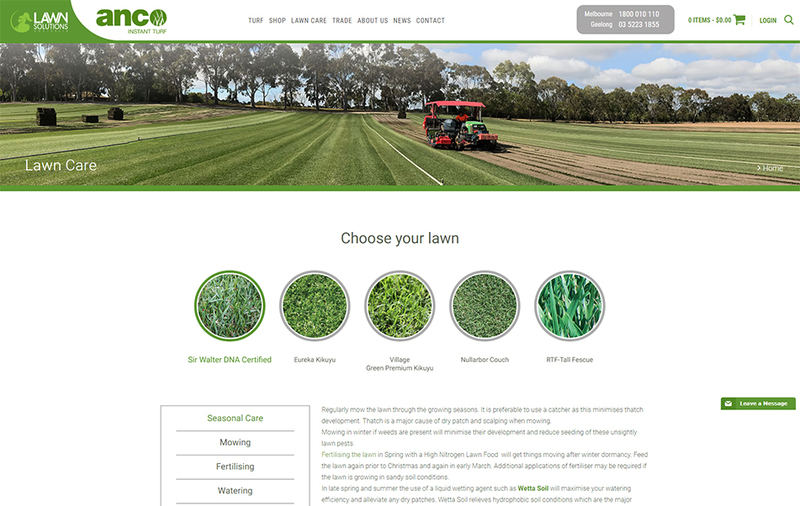 Large online sales are being driven by excellent user experience including a easy to use turf calculator, page structure and informative information fro all things about turf.